The Kardashians are all about "the power of family." Apparently, that sentiment doesn't quite extend to the Jenner side of things. The whole world has known that Kylie Jenner was pregnant since September. Presumably, her family knew a while before that. 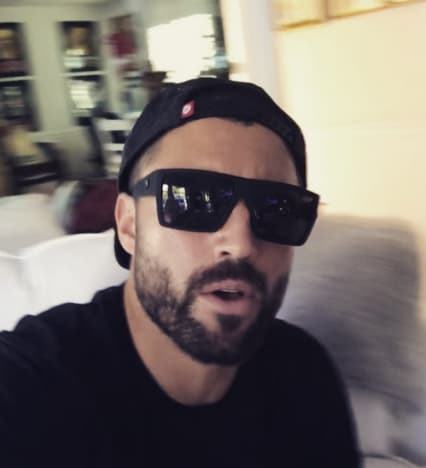 Brody Jenner, Kylie's own brother? Says that he didn't even know that she was pregnant for part of the pregnancy. Did he learn about it on the news? Kylie Jenner's pregnancy was a "secret," in that she did not confirm it or show her baby bump. But it was also not a secret, in that the whole dang world learned about it on September 22nd, 2017. The news was so memorable that I didn't even have to look that up. There's no telling who leaked Kylie's pregnancy news, whether it was Kris Jenner, or an untrustworthy friend, or even Kris Jenner. But Kylie resolved to keep it all under lock and key until her due date, February 4th. That Sunday, Kylie revealed the birth of her baby girl to the world and apologized to fans for keeping them in the dark -- more or less. But it turns out that those fans weren't the only ones whom Kylie didn't exactly rush to tell her good news. Brody Jenner may have a different mother and be 14 years older than Kylie, but they're still siblings -- through Caitlyn Jenner. Speaking to TMZ, though, Brody reveals that he was totally out of the loop and unaware of Kylie's pregnancy. "Well, to be honest, I didn’t even know she was pregnant for the entire pregnancy." It's not entirely clear whether he's saying that it was a while before he learned of Kylie's pregnancy ... or whether he's saying that it literally wasn't until Kylie gave birth that he learned of it. The latter ... was he under a rock? "Now I found out and would love to see her." Kylie's been coy about some of the details of her daughter, to be sure. At first, she left fans guessing about the name of her newborn daughter. 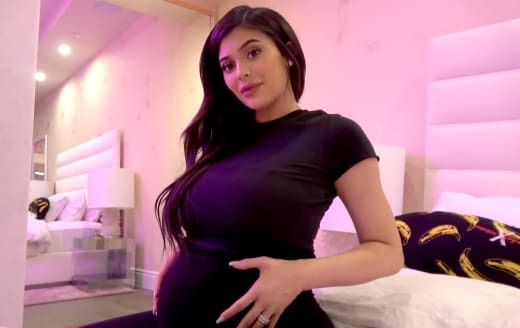 Some fans believed that the child's name would be either "Butterfly" or "Mariposa," based upon the recurring butterfly motif in Kylie's pregnancy video. The camera zooms in on Kylie's butterfly necklace and later reveals a nursery covered in butterflies. It was two days later when Kylie revealed her daughter's name: Stormi Webster. How bad must things be between these siblings if Brody wasn't among the first to know? Brody says that he and Kylie actually have a good relationship. Though ... he also shares that he and Kylie haven't hung out in two years. That's not too uncommon for siblings who may work separately or live in different states. But, if the relationship is good, they usually still keep in touch and at least let the other know when their uterus is manufacturing a life form. It's difficult to tell if Brody is trying to put a nice face on things, is he clueless to how distant he and Kylie are, or is his definition of "good" simply "not feuding." Keep in mind that Kylie's friends and their families knew about Kylie's baby bump. She had a baby shower. She flew to Houston and saw Travis Scott's family. Brody does make the excuse that Kylie's been "incredibly busy." You know, she's a makeup mogul whose brand could be worth a billion dollars in about 5 years. Now that Kylie's a mom to little baby Stormi, Kylie's going to be even busier. Could it be that tensions between Kylie's Kardashian sisters and Caitlyn have caused a strain between Kylie and her Jenner siblings (who aren't Kendall)? Or is Brody just clueless and out of the loop?